During his time at Nottingham he has been involved in the supervision of more than sixty graduate research students. With John Blanshard he was the founding co-editor of the journal Carbohydrate Polymers (1981) and organised the seminal meeting on Polysaccharides in Food (1978). 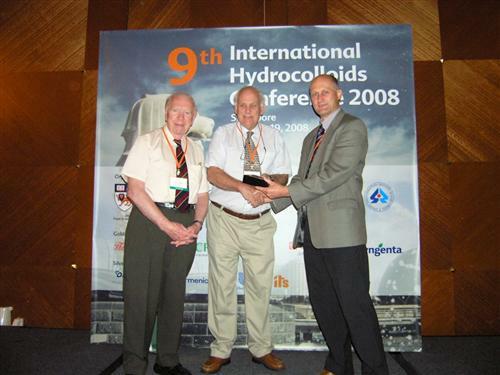 He has been extensively involved in teaching hydrocolloid science. He has published 180 research papers and patents and edited five books. He has maintained a broad range of research interests making contributions to the behaviour of the casein components at interfaces, the rheology of polysaccharide gels, thermal degradation of hydrocolloids, extrusion and the application of polymer material science to starch processing and confectionery products. He has interacted extensively with the food manufacturing industry, ingredient suppliers and instrument manufacturers and has played a significant role in the European Polysaccharide Network of Excellence. Current research interests are the production of physically modified hydrocolloids by extrusion, the relation between solution structure and sensory perception and the fracture of biopolymer films including cellulose.